The inaugural Celebrity Go-Go Challenge is set for 2 pm Tuesday, June 5 at Grand Old Golf (2444 Music Valley Dr., Nashville), and will benefit Hear the Music Live. Artists participating in the go-kart & mini-golf challenge event include Love & Theft, Bucky Covington, Josh Gracin, Bo Bice, Due West, Ty Herndon, Melinda Doolittle, Katie Chance, Gwen Sebastian, Glen Templeton, Bryan White, One Night Rodeo, Sean Patrick McGraw, Mark Cooke, Lucas Hoge and more. The fun starts at 2 pm, with open go-kart racing (entry fee $20) for fans. At 2:30 pm, celebrities will get behind the wheel and compete. At 3:30 pm, fans will be teamed in groups of four with a celebrity to play mini-golf. Entry fee is $25, and participants get a commemorative t-shirt and access to post game party. Register here. 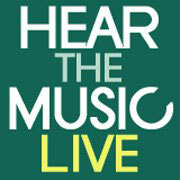 Hear the Music Live is a non-profit agency dedicated to providing young people in foster care and orphanages with their first live concert experiences. The organization has helped more than 3,000 people attend concerts in the U.S.